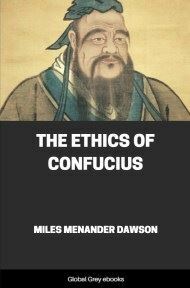 This is a study of the ethical system presented in the Confucian texts, organized by topics, such as What Constitutes The Superior Man, Self-Development, General Human Relations, The Family, The State, Cultivation Of The Fine Arts, and Universal Relations. 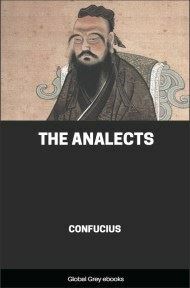 THE ethical and political precepts of Confucius are not well known in Occidental countries, even to most of those who give special attention to these subjects; and of what is known, much, indeed most, is confused with the notion that Confucius taught a religion in our sense of that term. Yet these ethical teachings, which are almost purely secular, have for more than 2000 years been accepted by a larger number of human beings than those of any other teacher. This, also, notwithstanding that the peoples who so receive Confucian morals as their guide are of the most various views concerning religion, i.e., for instance, are Buddhists, Mahometans, Taoists, Shintoists, etc. No other ethical system, whether of religious origin, or of secular, has ever been acceptable to persons professing religious convictions so diverse. And his political maxims have been regarded as fundamental, and knowledge of them, as well as of his ethics, has been insisted upon as a prime essential to political preferment, in a nation which, despite the not infrequent shifting of ruling dynasties, has the unparalleled record of continuing from prehistoric times to the present without a single break. In view of their obvious importance and of the availability of translations of the Chinese classics, the question naturally arises: Why the prevailing want of information concerning the works of Confucius, his disciples and followers? Though due in part, no doubt, to Confucianism not being a religion and so receiving but scant attention from students of comparative religions, to the relatively small interest of Occidentals, until very recently, in things Chinese, and to the somewhat expensive editions in which alone the best translation is available, the want of information concerning these teachings is, in my opinion, chiefly due to this: They are found in large volumes consisting of ancient Chinese classics which Confucius edited, of a collection of his sayings, of certain books by his disciples that purport to give his precepts accurately, in one book by his great apostle, Mencius, who more than a century later led the revival of Confucian ethics which has continued to this day, and in certain books by later followers; and these books consist, in varying proportions, ranging from a minimum of more than half to a maximum of at least nineteen-twentieths, of discourses upon ceremonies, customs, and the like, possibly of great interest to dwellers in China or Japan, but almost absolutely devoid of interest to most Occidentals. These ceremonies and customs, already firmly intrenched when Confucius was born, doubtless constitute a very rich and expressive language, crystallized into conduct; but it is one which is wholly unintelligible and even repellent to persons of Western origin. 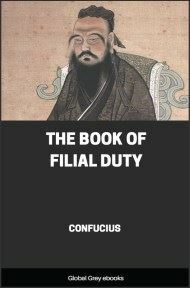 The only form, other than this, in which the ethical teachings of Confucius and his followers have been presented, is through books about these teachings, i.e., presenting, in the language of these modern authors, what they consider Confucius and his followers have taught. Every such passage has been extracted from all the works comprising the Confucian classics and several from the more important works of early Confucian scholars. These have been arranged by topics in accordance with a scheme laid down as that of Confucius himself in "The Great Learning." The passages, so quoted, have been thrown into the order deemed most effective to demonstrate and illustrate the doctrine of Confucius. To sustain the interest unbroken, the passages quoted are connected by a running narrative, showing briefly the relationship of one with the other, stating from what bock taken and by whom enunciated, and most sparingly accompanied by quotations from other moralists, ancient or modern. 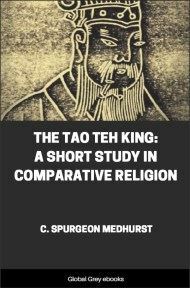 This book makes no claim to be an exhaustive study of the text, or of the commentaries on the text, of the Chinese sage; and much less to epitomize a critical investigation and collation of original texts. It accepts the generally received canon of the sayings and writings of Confucius as authentic, and deals exclusively with their significance as viewed scientifically in these days. Thus considered, the sayings of Confucius are seen to exhibit wonderful foresight and insight. Indeed, it is a continual marvel that, like Socrates, Plato, and Aristotle, Confucius should have come so near to laying down, formally, the lines which scientific investigation must pursue; and yet that, as generation after generation passed away, the attitude of many of the disciples of each of these should have become more and more that of blind and even superstitious imitation of the great teacher, and almost scrupulous avoidance of the application of his principles in the never-ending search for truth.